Any sports fan has to have at least one sports poster as part of his or her college wall decor. 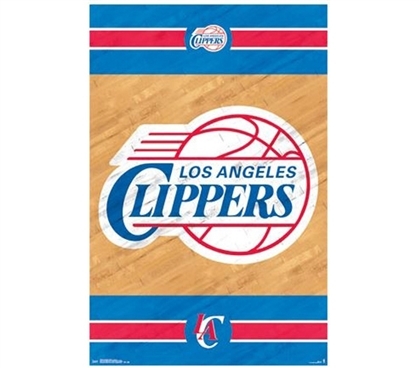 When you're decorating your dorm, dorm decorations should be items that reflect your interests, and in the case of this Los Angeles Clippers Poster, your support for a favorite sports team. Showing support for a team is best accomplished through college posters, after all, as a full-on XL twin comforter and matching twin XL sheets with the Clippers' logo on them could be taking it a bit far, even for diehard fans. However, a simple poster for college is the perfect dorm item. And since dorm posters are such diverse dorm products, you can choose another one with your favorite movie, TV show, or anything that you'd like!